Automate the repetitive tasks of software development! "Don't like wasting your time? 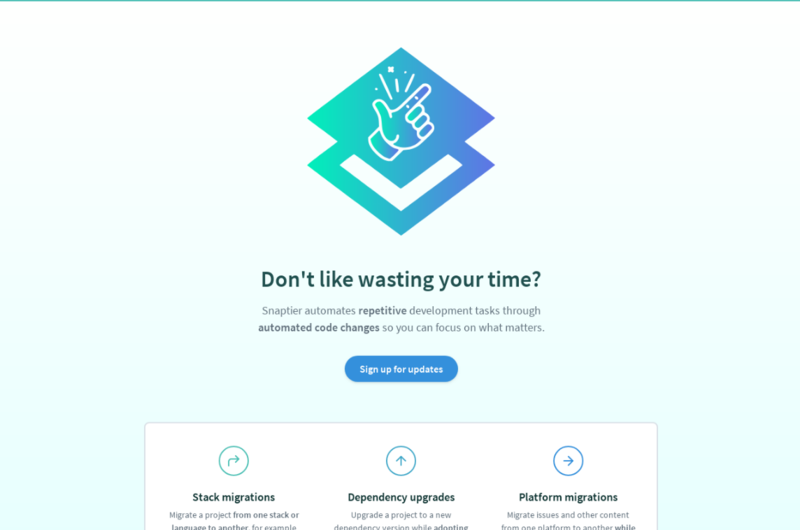 Snaptier automates repetitive development tasks through automated code changes so you can focus on what matters."